Meg began climbing at Vertical World in Seattle in 1999, and quickly found her passion in the relatively new area of competitive sport climbing. Under the coaching of Tyson Schoene she earned a spot on the national team in 2007 and 2008, and competed in Youth World Championships in Ecuador and Australia. Meg took a hiatus from climbing through college, but began routesetting and instructing at the University of Washington IMA. Ultimately that’s where her interest in the sport regrew and moved from in front of the curtain, to behind it. She immediately liked the process of shuffling and turning holds with or without an idea for movement in mind, and being able to watch the way those sets affect a body’s movement. Most especially how they can teach climbers movement. 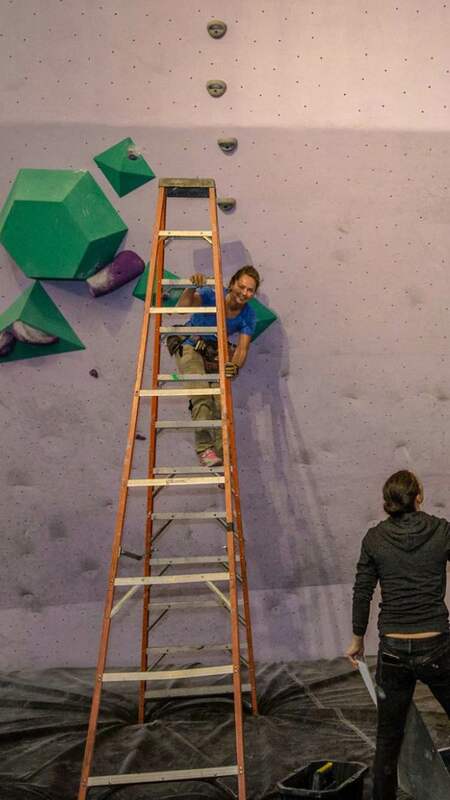 During the latter half of her college career Meg honed her routesetting skills at Vertical World, before beginning to coach the Vertical World Climbing Team. She quickly fell in love with coaching. Having set routes for two national competition level events, a host of USA Climbing events and local competitions, Meg earned a USAC Level 4 routesetting certification in 2015. Growing up climbing competitively, Meg is perpetually focusing on the technical side of climbing and the efficiencies that accompany it. The interest in bettering technique and the intellectual side of climbing is what Meg strives to build in the athletes she works with. Climbing encompasses so many great morals and lessons which are especially exemplified in the kinds of personalities that are drawn to competition in this sport. Meg believes that above all else, good coaching should bring out those qualities in the the athletes. When she’s not climbing, coaching, or setting, she enjoys playing soccer, running, yoga, and generally getting outside. She has climbed at awesome areas such as Hueco, Bishop, Rifle, Maple, Index, Red Rocks, American Fork, Little Si, Goldbar, Leavenworth, Squamish, and Smith Rocks.